4/15/2015Share this story on Facebook! James Taylor '00, vice president and chief diversity officer at Carolina Health Care Systems, was one of the speakers at the ALANA Career Connections event. Earlier this year, students of color had the opportunity to hear from experienced professionals who once walked in their shoes in the same hallways of Ithaca College. ALANA (African Latino Asian Native American) Career Connections is an annual networking event organized by Career Services featuring IC alumni who are making change and breaking barriers in their respective fields. Students who attended listened to perspectives from IC alumni in the communications industry, healthcare policy arena, and the nonprofit sector. Lynnore S. Thames, Esq., ’89, Dr. James Taylor ’00, and Malinda Logan ’01 were the distinguished panelists for this year’s event. The panelists stressed the importance of staying in contact with peers in their desired fields and professionals they will meet along the way. “My network with Ithaca just brought me to where I am today,” said Logan, who is director of development at Cool Culture, an organization based in New York City that aims to increase literacy in preschool-aged children. Cool Culture partners with over 50 cultural institutions, giving free and unlimited access to museums to nearly 50,000 low-income families. Thames, an associate director of rights and clearances and permissions at ABC News, agreed with Logan and added that her relationships with IC professors continued to be influential post-graduation. 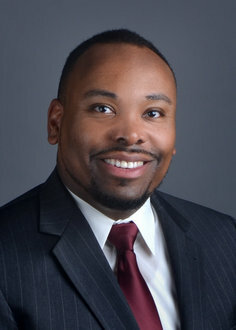 Taylor, vice president and chief diversity officer at the Carolina Health Care Systems, said the relationship with his mentors at Ithaca College were long-lasting, continuing on to his graduate school experience. Through networking and building strong relationships, he said the faculty and staff at Ithaca College continued to invest in him beyond his Ithaca years. “While I was in the midst of the dissertation writing process, many of the professors that taught me from the psychology [department] were readers of my dissertation,” Taylor said. Efosa Erhunmwunse ’18, a first-year clinical health studies major, attended the panel discussion. She said the event was particularly instrumental in giving her a realistic picture of the professional world — one that has no shortage of setbacks.